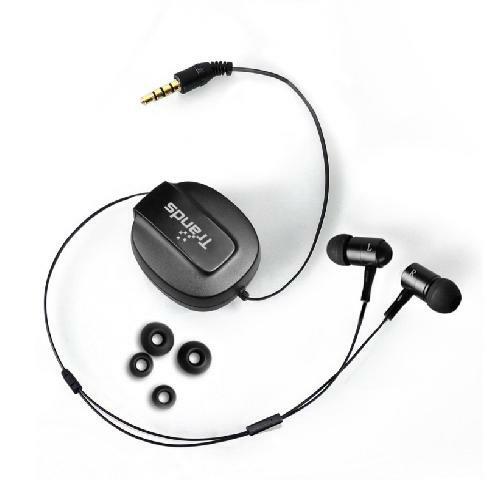 Hear your music reach its potential with these retractable earphones with hi-fi stereo sound. The noise-isolation feature allows you to enjoy your tunes without external distractions. These earphones are compatible with a number of mobile device variations, including iPhone 6, iPhone 6 plus, Samsung galaxy note 2/note 3/S3/S4/S5, HTC one, Google nexus 4 / nexus 5, Nokia, Blackberry and other smartphones. The in-line microphone enables you to easily take handsfree calls and video chats. You can even tailor your stereo earphones to suit your own requirements, with 3 different sizes of silicone earbuds available.